Lovely checked patterns adorn the edges of this classic saddle pad. 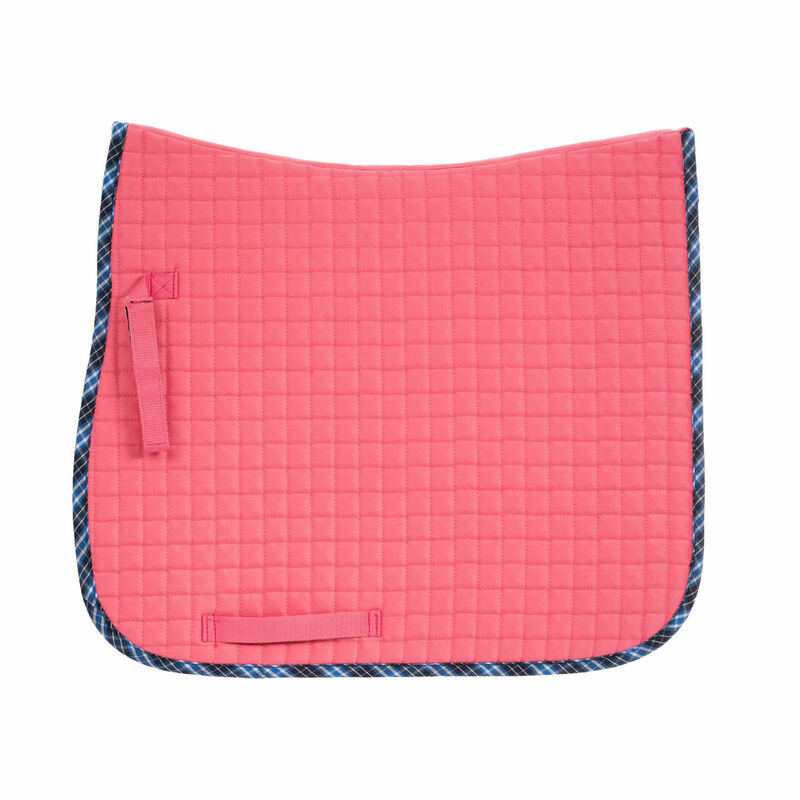 The soft, square-quilted all purpose saddle pad is perfect for schooling or lessons. 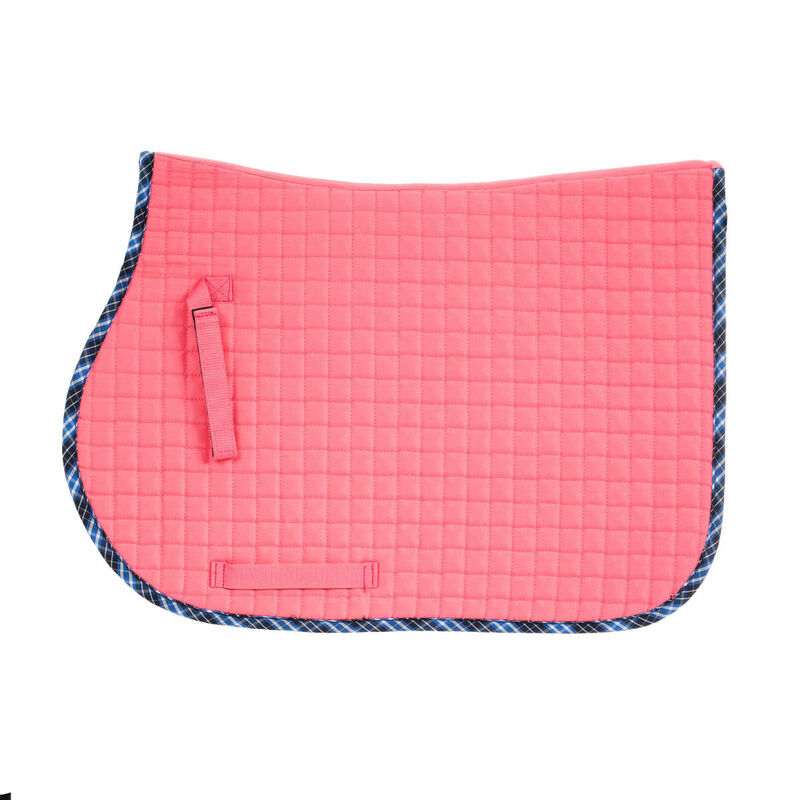 The lovely check pattern around the edge of this pad adds some personal style to this classically-cut saddle pad. This colourful pad will stay in place under the saddle and won't slip with the reinforced girth strap and Velcro billet attachments. Machine wash warm at 40°C. Line dry. Do not tumble dry.